Location,friendly staff, incredible facility , the view , luxurious residence. The suit design is amazing .Among 30 hotels i booked in Indonesia this place will be my permanent residence every time I come to Indonesia! location, staff, and cleanness. the pool is good and lids playing area are good. there is a mall with plenty restaurant beside the hotel. the only thing that could be better choices for breakfast. definitely, I will come again. 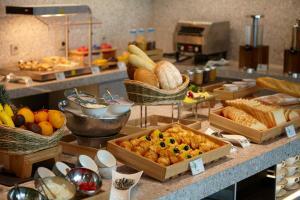 Great breakfast, there's a lot of tasty items to choose from. The property has great leisure facilities; swimming pool, game room, kids playground and gym, so there's plenty of things to do. The view were very nice, we got to see NYE fireworks in the surrounding area. I love the pool. the room was also comfy. The pillow. Everything was pleasant. 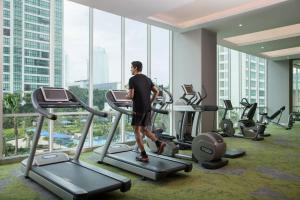 Lock in a great price for Fraser Place Setiabudi Jakarta – rated 8.9 by recent guests! 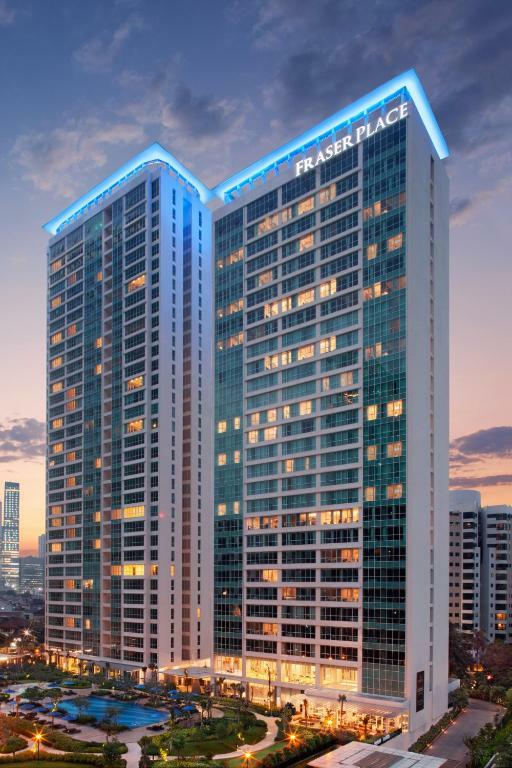 Fraser Place Setiabudi Jakarta This rating is a reflection of how the property compares to the industry standard when it comes to price, facilities and services available. It's based on a self-evaluation by the property. Use this rating to help choose your stay! 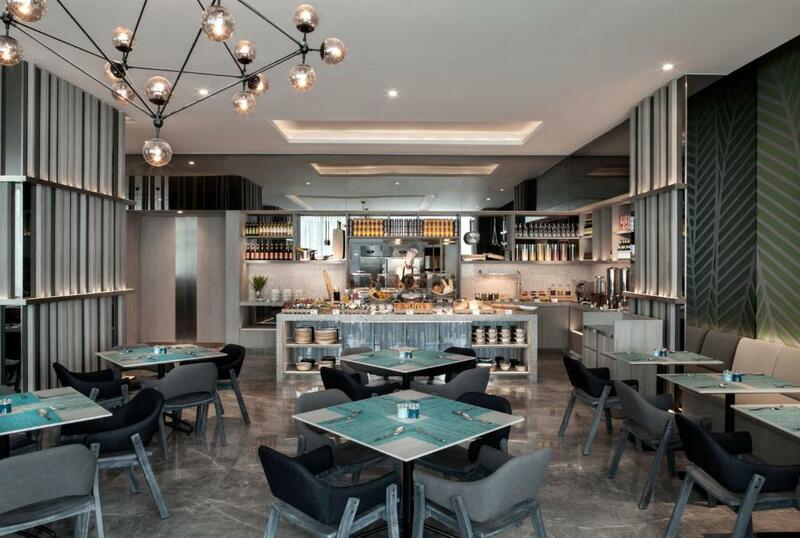 One of our top picks in Jakarta – and a guest favorite. 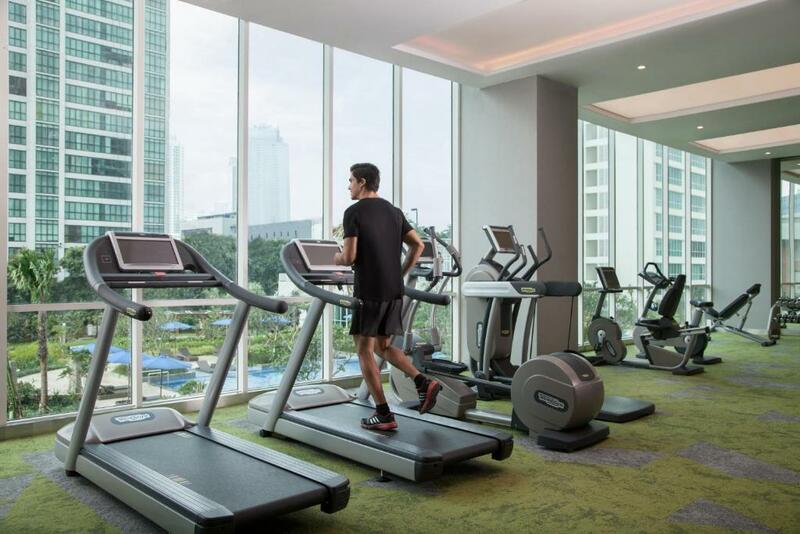 Boasting stylish aparthotel with an indoor sauna and fitness center, Fraser Place Setiabudi Jakarta is located behind Setiabudi One Building in Jakarta. Bundaran HI is 1.1 mi away. Free WiFi is offered throughout the property. The modern furnished accommodations is fitted with a spacious living room with sofas and a flat-screen TV. Guests enjoy a dining area and a kitchen equipped with a microwave and refrigerator. Every unit is equipped with a private bathroom with a bath and a shower. The apartment offers free private parking on-site. 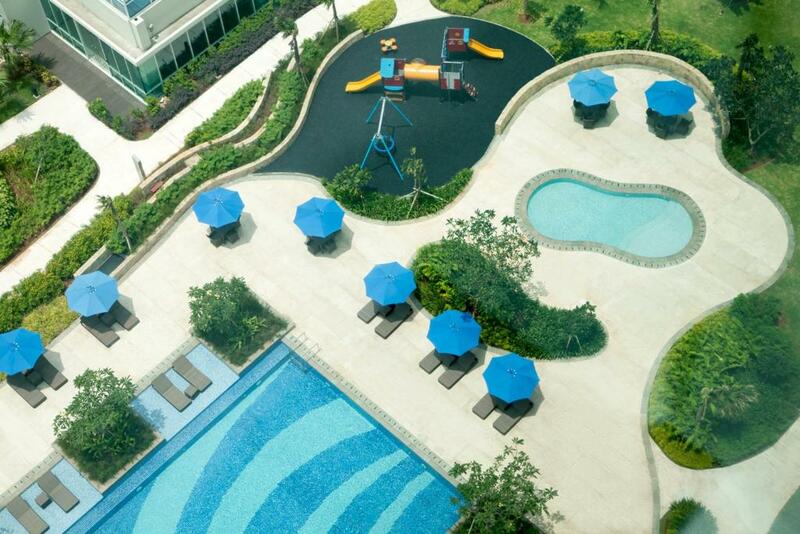 Fraser Place Setiabudi Jakarta also includes an outdoor pool and children's playground. Guests can enjoy a drink at the on-site bar. 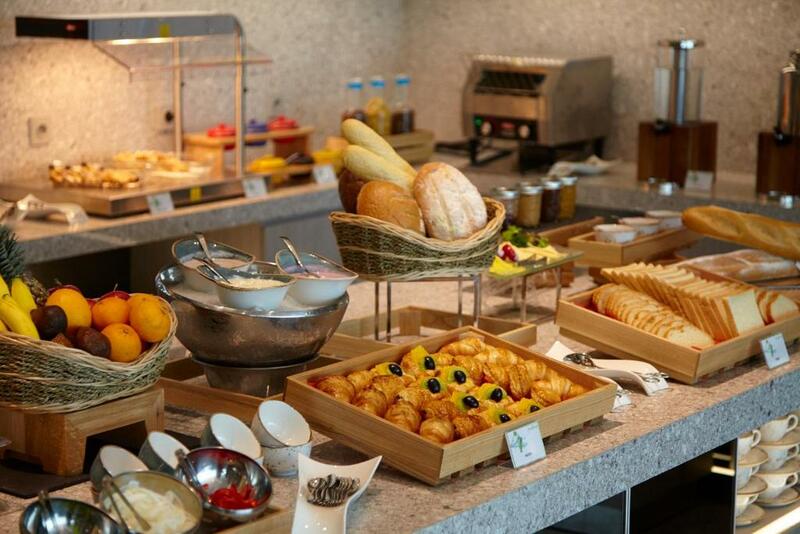 Buffet breakfast is served every morning. Sarinah is 2.4 mi from Fraser Place Setiabudi Jakarta, while Tanah Abang Grocery & Textile Center is 1.7 mi from the property. The nearest airport is Halim Perdanakusuma Airport, 8 mi from Fraser Place Setiabudi Jakarta. Soekarno-Hatta International Airport is 17 mi away. South Jakarta is a great choice for travelers interested in entertainment, luxury brand shopping and friendly locals. 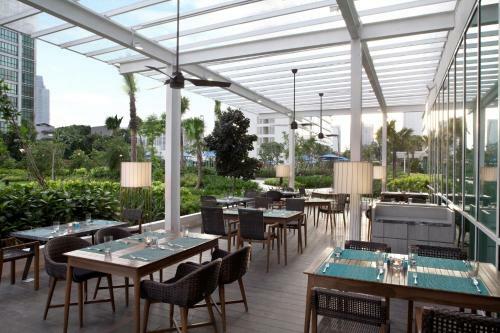 This property also has one of the top-rated locations in Jakarta! Guests are happier about it compared to other properties in the area. This property is also rated for the best value in Jakarta! Guests are getting more for their money when compared to other properties in this city. 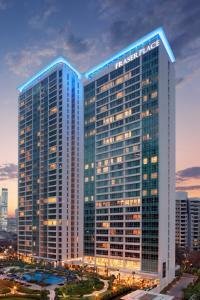 When would you like to stay at Fraser Place Setiabudi Jakarta? This fully-furnished apartment has a separate living, dining and kitchen areas. It's fitted with a home entertainment system and a well-equipped kitchen with built-in electric stove. Towering 31 stories above the central business district of Jakarta’s famed Golden Triangle, Fraser Place Setiabudi features 150 Gold-Standard serviced residences set within an extensive and lush landscaped gardens. Complementing this desirable locale are a myriad of recreational options that caters to residents on long or short stays. An outdoor jogging track, indoor basketball courts and a fully equipped 24/7 gym, complements the steam and sauna, jacuzzi and outdoor pool facilities on offer to all residents. 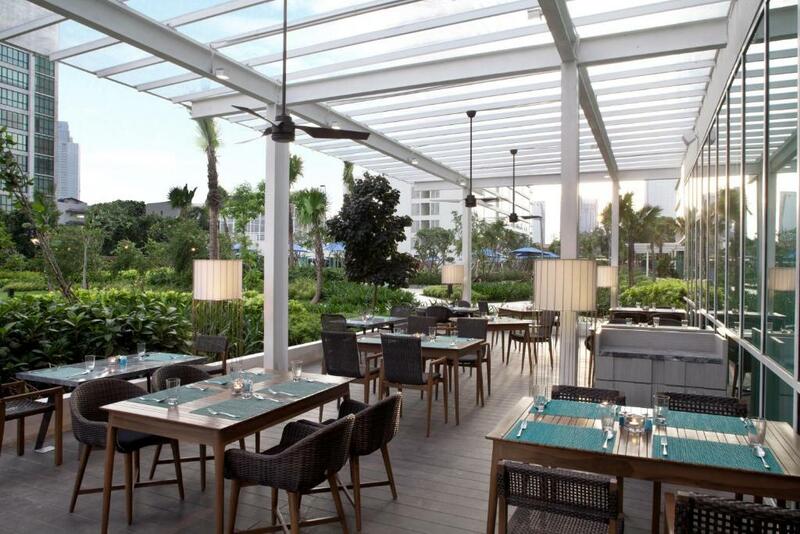 Located within close proximity to key MNCs, international schools, lifestyle malls such as Grand Indonesia, our residents will be spoilt for choice when it comes to dining and entertainment preferences around Fraser Place Setiabudi. Where a diversity of cultural influences and traditions are celebrated, we set the stage for your stay in one of the world’s largest key cities. House Rules Fraser Place Setiabudi Jakarta takes special requests – add in the next step! Fraser Place Setiabudi Jakarta accepts these cards and reserves the right to temporarily hold an amount prior to arrival. A damage deposit of IDR 300000 is required upon arrival – that's about 21.36USD. This deposit is fully refundable at check-out as long as there's been no damage to the property. Please inform Fraser Place Setiabudi Jakarta of your expected arrival time in advance. You can use the Special Requests box when booking, or contact the property directly using the contact details in your confirmation. Only Price of night it’s expensive. Bugs, fleas, and more bugs. I’ve been staying in this establishment for quite some times throughout 2018, no problem then. However since the beginning of 2019 the cleanliness and sanitation of the rooms have gone downhill. The management should have paid more attention to the matter, I’ve reported the issue with pictures and videos to the manager, let’s hope they will do something about it. The location and the staffs. The hot water was not working properly. It takes a very long time for the water to heat and it waste so many fresh water to get into the hot temperature. There is no instruction on how to operate the oven, wash and dry clothing machine. There could have been more signage or details of the facilities provided in the room. I like the room layout and the pool is very inviting. There are many facilities although it is not well documented where these are located, e.g. steam room at 2nd storey. The acoustic separation is excellent other than the noise from the main road. The shampoo and the soap are pleasant smelling. The staff are pleasant and welcoming. Upgraded to a two bed apartment which was lovely. So spacious, clean and all the amenities you need. I mainly chose this place based on the pool which didn't disappoint, getting sun all day. The restaurant is also very nice with a good range of options. The water taste is really not good . The shower has a drain smell.